It can appear clean, but sometimes the foul smell lingers. This is a guide about getting rid of urine odors. Recently, when visiting an elderly family member in a nursing home, I couldn't help but notice the strong smell of urine in the areas where he spends most of his time. Is there anything that I could suggest to the nursing home to do/use to mask this smell, at least in the room where he sleeps. I know it sounds ghastly but the staff are always cleaning up "little accidents", surely there is something that can be done to make it a little more pleasant? My father in law has the same problem. After he leaves, we spray the area with NutraAir or Febreze. Maybe you could suggest to the nursing home to have a supply of those cheapo chair pillows (I hope you know what I'm talking about, I've seen them at the dollar store and they have little ties on them which you're supposed to tie to the back of the chair) and replace the ones he's sat on every so often and put the dirty ones in the laundry. I am a nurse and when I worked in a nursing home we used lemon slices! Put in a cup and tape to back of chair and bed. Change daily. We also took a lemon slice and ran the slice on the chrome on the guard rail. We used this also with someone that had flesh rotting and it really did help alot. Needed to change once a shift on that one,though. No nursing home should smell of urine. If it does, it is a sign that the place is being inadequately cleaned. There are commercial products to deal with this problem. It isn't the responsibility of the nursing staff to handle this, either. The nursing home has a custodial staff that doesn't seem to be doing their job properly. Have a word with the administrator. Squeaky wheels get the grease. If this isn't resolved I would notify the appropriate state or governmental licensing board. I am a nurse and before that worked in a bar, we used to use vinegar and water to clean the urine odor(making sure to change the water and vinegar often) for the male bathrooms. In nursing we have used shaving cream. If the facility is old the flooring may need to be replaced, you can cot get the smell out if it has soaked in the floor no matter how hard you or housekeeping try. It may not be the homes fault. Unless they just won't change the flooring. Also you might want to check to see if your family member has a possible infection ( or someone that might share the space). Talk to other family members. How do I get rid of urine smell in a rubber cushion? I don't know if this will help, but someone on Thriftyfun recommended Dawn dish washing liquid for stains and I just used it to remove human urine stains from the rugs around my commode. I just took a white old rag and put warm water on it and a few drops of Dawn. I rubbed the stain pretty well, but not for a long time. I washed the rug with laundry detergent and bleach and for the first time, the urine came out. For the past ten years I just replaced the rugs because I could never get the urine out, no matter what I used. I never put these rugs with rubber backing in the dryer, I just air dry them. Depending on the size of the cushion perhaps you could wash it in your washing machine or a large washing machine available at the laundromat on the gentle, cold water cycle and make sure it is dried completely afterwards. If you're worried about shrinkage then allow to air dry. Major pet stores sell a product called "odor ban." It's absolutely wonderful. It's made specifically for urine, or any other organic matter. Bring your cushion outside and just pour it on...making sure it's thoroughly soaked through to the inside. No need to rinse it....just let it dry a couple of days. Odor Bans' purpose in life is to "eat" anything organic. This same concept can be also used on bed mattresses, furniture etc. It worked and I was very, very impressed. How can I clean a room of urine scent to keep other animals from being attracted to the area? I have heard that ammonia will hide a scent so dogs cannot follow it, but does it work for other things? I've heard/read that ammonia is NOT what you want to use. It'll make the situation worse. Have you tried an enzymatic cleaner? I bought PetZyme from Petsmart, but there are other brands out there. Best of luck! DO NOT use ammonia. They have ammonia in their urine so it will simply smell like urine and they will be more attracted to it. Whoever told you to use ammonia is an idiot. That is ome thing you should NEVER use. Try a 50/50 mix of vinegar and water. I was wondering if it is true that if there is a bad stench in your home that if you cut an onion it will get rid off it. Please help, as someone I know has a bad stench from dog wee in their home and I'm trying to help them as they're elderly. If its that bad, try Nature's Miracle Stain and Odor. I use white vinger works wonders ,after cleaning spot spray with a mix of equal parts vinager and water in spray bottle, then blot. My dog is now 8 or 9 months old and is a good dog. He goes potty outside, but he will go inside too and usually in the kid's room. What can I do to get rid of his scent that he smells in there, so he won't go in there anymore? Most pet stores have "deterrent" type sprays that you can spray on problem areas, but the bottle says it only lasts 12 hours at a time. You can use store-bought pet stain remover to get the urine smell out, you just have to spray it generously and let it soak into the carpetpadding for 5+minutes. If that still doesn't work, a solution of water and baking soda may get remaining smell out. Hope this helps! You need an enzyme cleaner that breaks down the urine, one I have used is called U R In Control. If the rug and pad are pretty old you might get rid of them, treat the sub-floor and then replace them. But if you don't want to spend the money, get an enzyme treatment, Petsmart carries them and many hardware stores. Don't use ammonia because it smells like pee. I keep the bedroom doors closed, as I have a 6 month old puppy and she is good now, but no use giving her the opportunity. Keep praising him and giving him treats every time he goes outside, too. Vinegar! Plain old white vinegar, undiluted! Pour some in a spray bottle and spray the legs of any furniture, let it run off into the floor.Soak the favorite spots, let it stand awhile,then blot it all up,and go over the whole floor with vinegar and a mop.The vinegar is mildly acidic, (5%,you could drink it if you wanted to), but won't harm him, your kids, the coloring of the upholstery,or the padding under the carpet, if there is any. The odor will disappear as it dries, and you can wash whatever may need washing with vinegar in the machine. I buy it in the gallon size for about a dollar and a quarter. 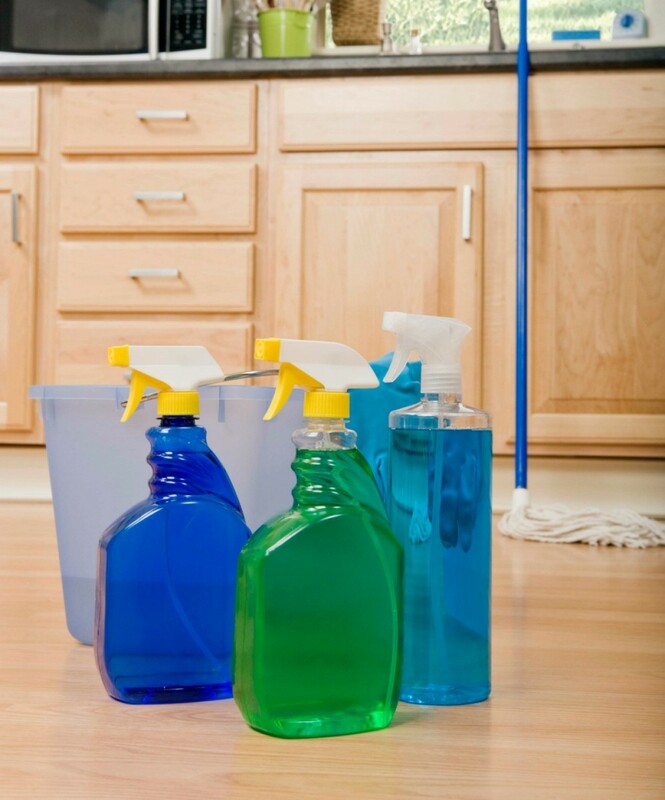 Using vinegar on some flooring will void the manufactures warranty. Test first as peroxide will leave bleach spots on some carpeting. 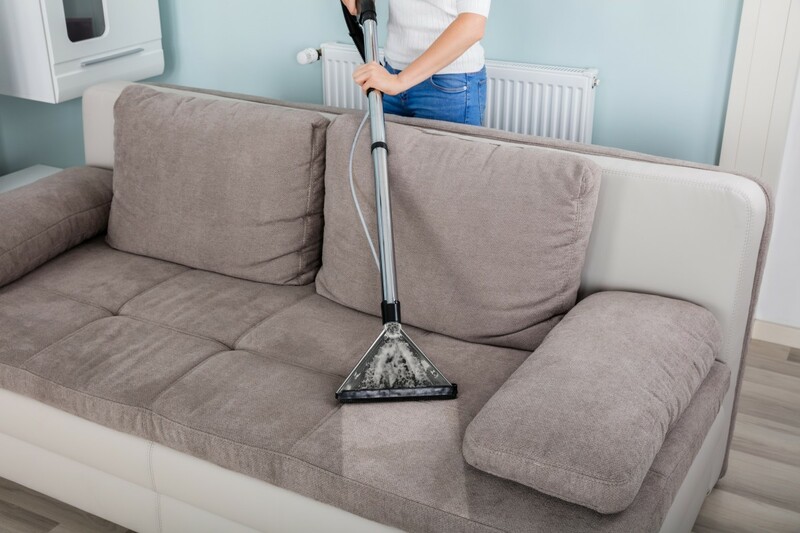 Removing urine odors from upholstered furniture can be difficult. This is a guide about removing urine odors from a couch. The are several ways to remove pet urine odors from your tile, laminate, hardwood, and resilient floors. 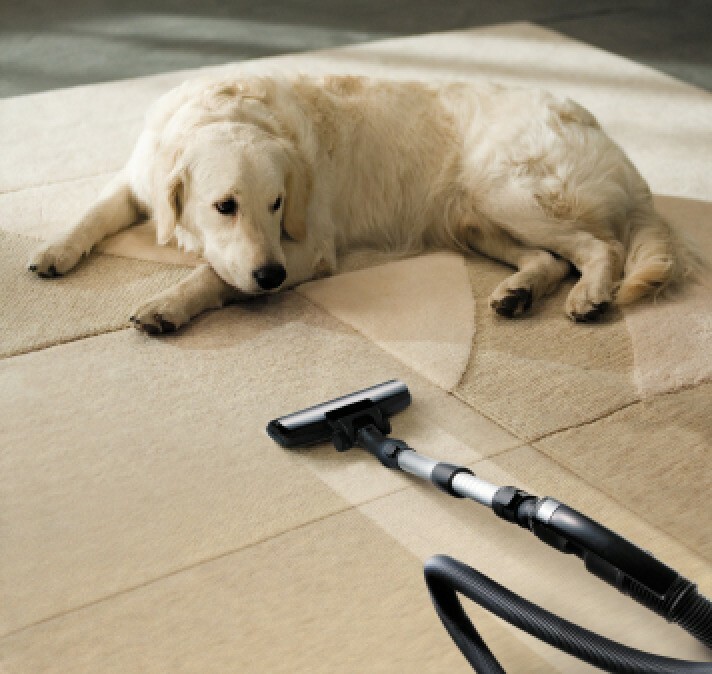 This is a guide about cleaning pet urine odors on floors. With the proper method you can get your carpets looking and smelling just like new. This is a guide about cleaning urine odors from carpet. Urine odors in carpets can be difficult to remove. 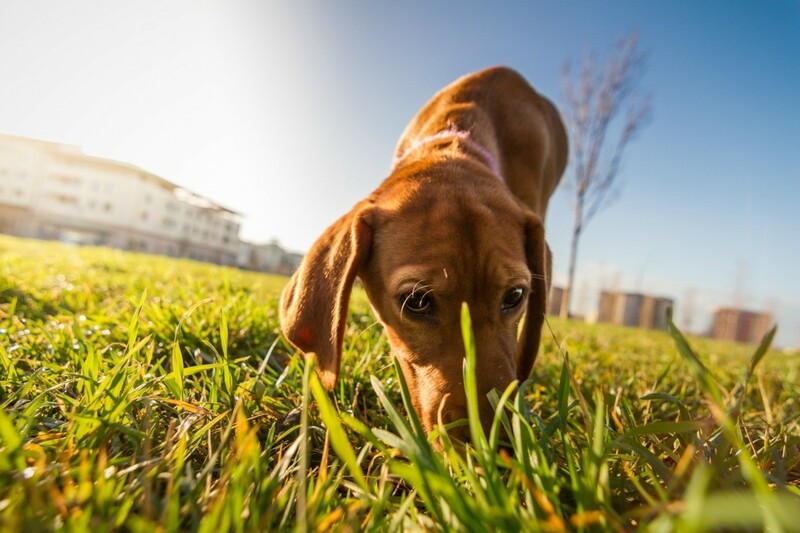 This is a guide about cleaning dog urine odors outside. 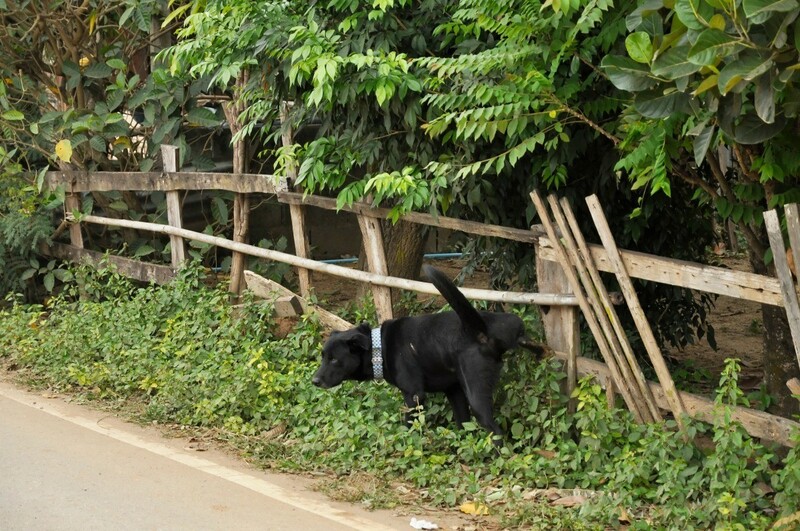 Often when dogs use the same spot or a small yard for their business, odors can become quite strong over time. 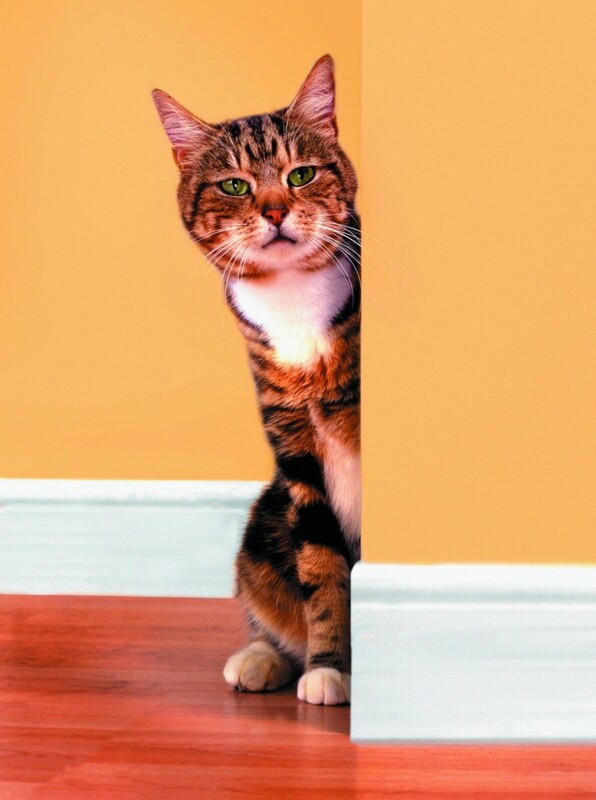 This is a guide about getting rid of cat urine odors. The smell of cat urine is very unpleasant. My dog goes to the bathroom in the front of my house on the cement steps and on the bushes and I can't get rid of the smell. I tried cleaning the steps with bleach, but I think the smell is also in the bushes. I have a large home and no kids and so I don't go to every room in my house all the time. Well, I rescued 2 more dogs (a total of 4) and I guess they were marking on the floors where I didn't go. The smell was the biggest indicator for us that they had peed in the house and they probably had days before I even noticed. If you want the odor to be gone and gone for good to never return go to scoe10x.com and buy their starter kit. I promise it will work unlike anything you have ever tried or heard of trying. Many on the market claim to get rid of the odor and most will for awhile, but they all return. SCOE10X gets rid of the odor and it will not return ever. I found a site that has great products for animal care. You would never know I had any animals in my house now. Not only did it take care of the lingering urine odor in our spare bedroom (female Dalmatian), but it also works on bathroom odors. I have an older dog (she's 15) who has a problem with a leaking bladder especially at night. We have tried dog diapers but they did not work. The carpet in our room smells really bad. I would love a homemade solution that would really remove the odor. I have tried every commercial available but nothing works. I had a Dachshund that would not go outside, but rather under our bed. After getting rid of the dog and after getting the carpeting dried out and cleaned as well as possible using the standard carpet cleaners, I realized the urine smell was very much still present. I have a handy little book called "Baking Soda-over 500 uses..." and here is what finally worked for me. To prevent the lingering smells in a carpet, they advise to clean up what you can, then generously sprinkle the remaining spot with baking soda. Scrub gently, from the outside toward the center, with a stiff brush or sponge dipped repeatedly in clean water (test for colorfastness!). Blot up the moisture with paper towels. Leave a last small layer of baking soda powder sprinkled on the spot and vacuum it later when the carpet is dry. I had to repeat this several times, but it worked! No more smells!! Carpet looks fine! I've come to love baking soda! I have a homemade recipe that works. This is the ONLY thing I have found to work over the years. Mix 1 tsp. Dawn dish liquid, 1 tsp. of baking soda and 16 oz of hydrogen peroxide together. Pour directly onto the urine spot. Do not blot, rub or dry. Let it dry naturally and then vacuum over. There will be a noticeble white powder residue on top of the carpet. I have tried many many store bought items, including a gallon of something at Petsmart that cost $36 years ago, and nothing ever worked. This really does work. It was easy for me because my stubborn pee-box is a male. Female urine spots may be a little more difficult to find. We have a giant dollar store that sells 2 bottles of peroxide for $1. What none of you are mentioning here, is that if you don't soak up the pee as soon as your dog goes to the bathroom, it gets DOWN into the carpet and then into the padding or underneath the carpet itself. The only way to get that out will be to lift the carpet, especially if the urine has been allowed to stay there for a long time and fester. Cleaning the top of the carpet will not remove the scent underneath it. If you don't want the dog to pee on the carpet, place his/her bed in another room without carpet, positively reinforce the dog that sleeping in the next room is GOOD. He/she may still want to sleep in the same room as you, so you'll have to get creative with trying to find ways to convince your pet that sleeping in the other room is a good thing. Start by placing its bed right outside your door, within sight of you, but with a gate blocking the doorway. And walk the dog IMMEDIATELY before you go to sleep, control the water you give it as well, if you know you're going to be going to bed, obviously filling the dog bowl with water wouldn't be a good idea. If the smell is so bad that you can't stand it, perhaps it is time to replace the carpet and start fresh. Steam cleaning will not help you much, all that does is create mud in your carpet which will destroy the fibre from the bottom. A foamy shampoo that uses much less water than steam cleaning is a much better solution. Electrolux makes the BEST carpet cleaner, rug shampooer I've ever seen. Look it up, it has an attachment that "rakes" the carpet and you would surprise yourself if you saw how much dirt rises to the top as you do it. I have this same problem, and a few months ago I sent for an e-recipe. It's so simple, that now I'm ashamed I couldn't figure it out myself. I have very light color carpet, almost ivory color. I mix 1 bottle 3% hydrogen peroxide, with 2 tablespoons baking soda till dissolved. Test a colored carpet for color-fastness, and dilute with water as needed. I pour mine into a bowl, and I use a wide paint brush, saturating the paint brush with the solution and painting the spots. The stain is immediately removed, and the odor is eliminated as well. Then when completely dry, I vacuum the area and the baking soda, which has absorbed the urine, is gone as well.